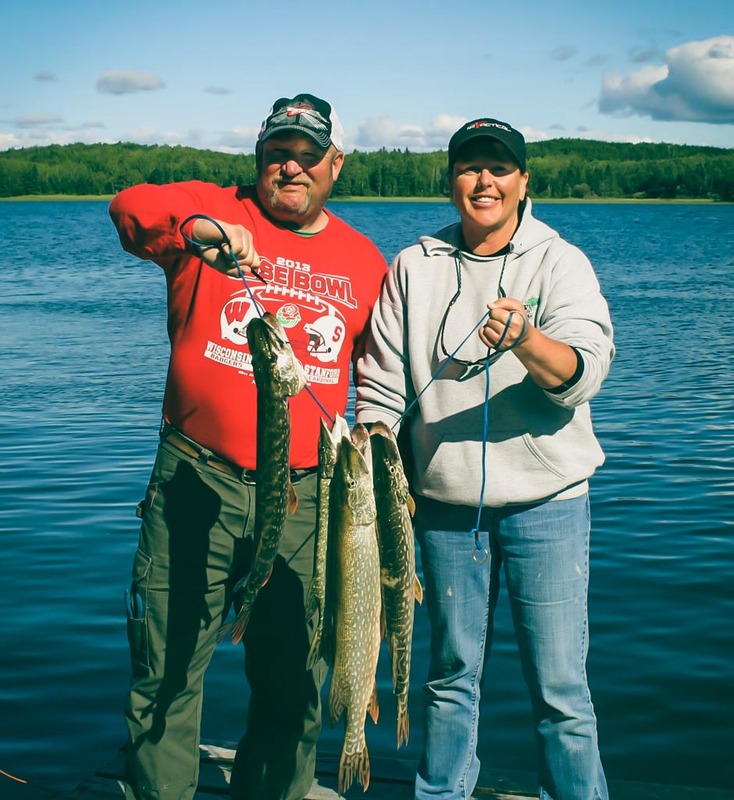 At South Shore Lodge, you can expect well-kept and clean and comfortable cabins, 24 hour generated electricity, and fully modern facilities. 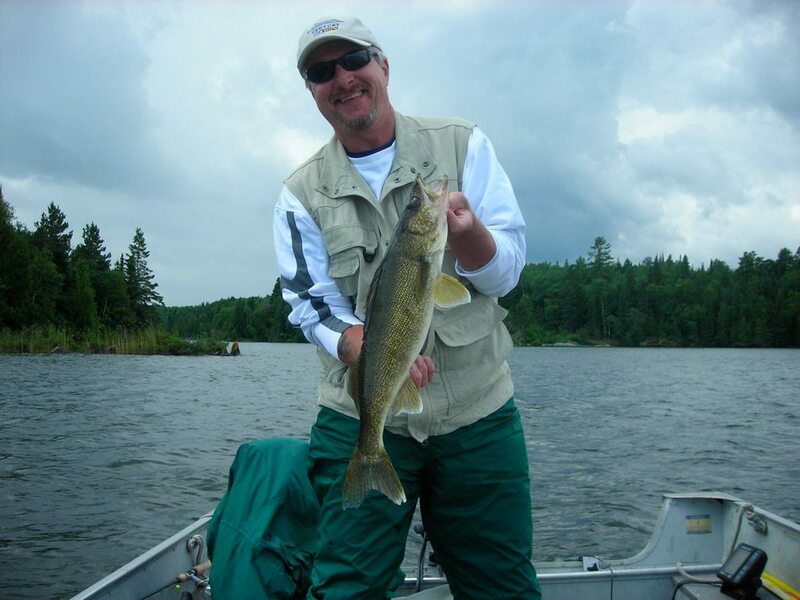 South Shore Lodge on Eagle Lake Ontario was built on one of the finest sites we’ve ever seen for a fishing and hunting camp. 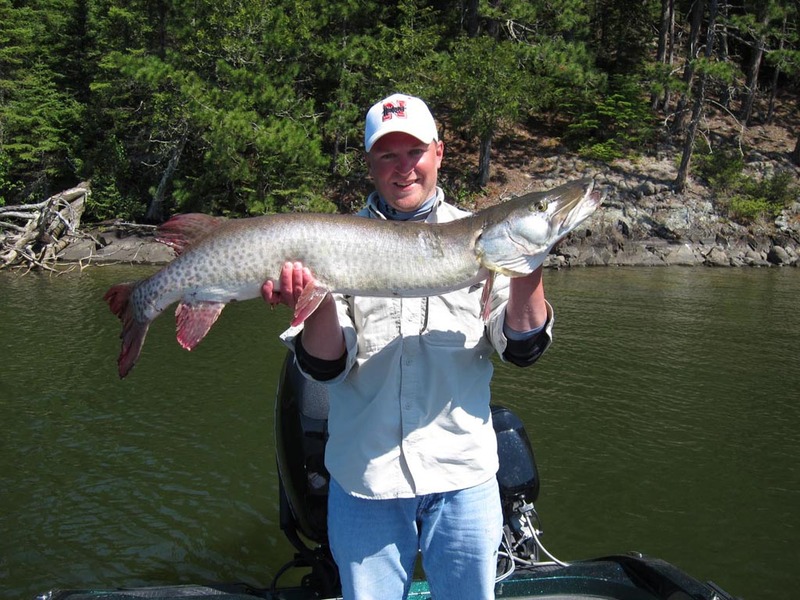 Our guest cabins are scattered irregularly along more than a quarter mile of peninsula shoreline. 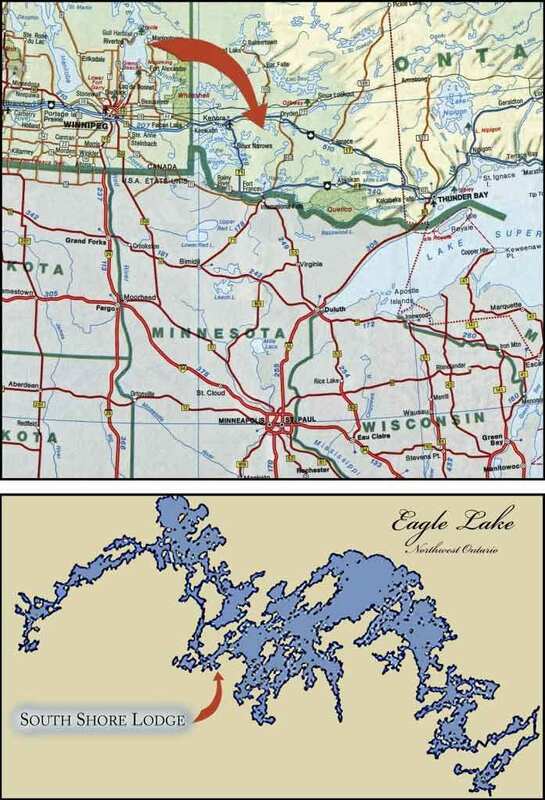 In 1984 our family chose South Shore Lodge as the camp we wanted to own and operate because of its unique setting and because it’s on Eagle Lake. 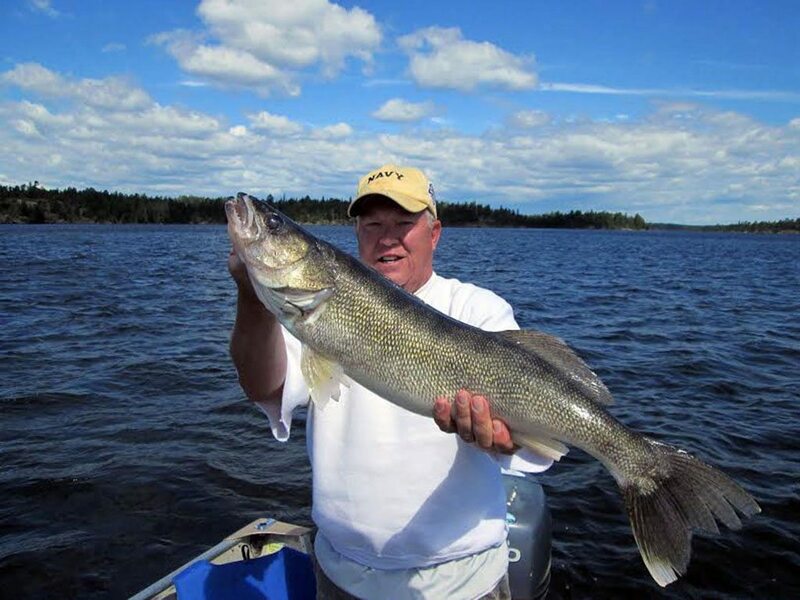 We enjoy catching BIG fish and Eagle has them. 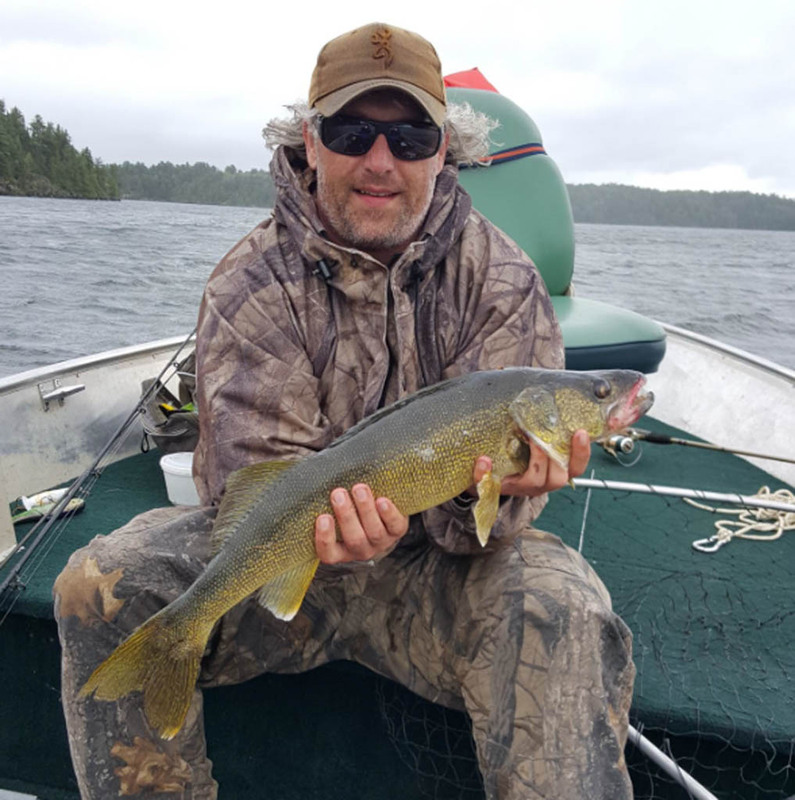 Our waters are protected with many bays, islands, points and creeks ensuring us the ability to get out to great fishing no matter what the weather. 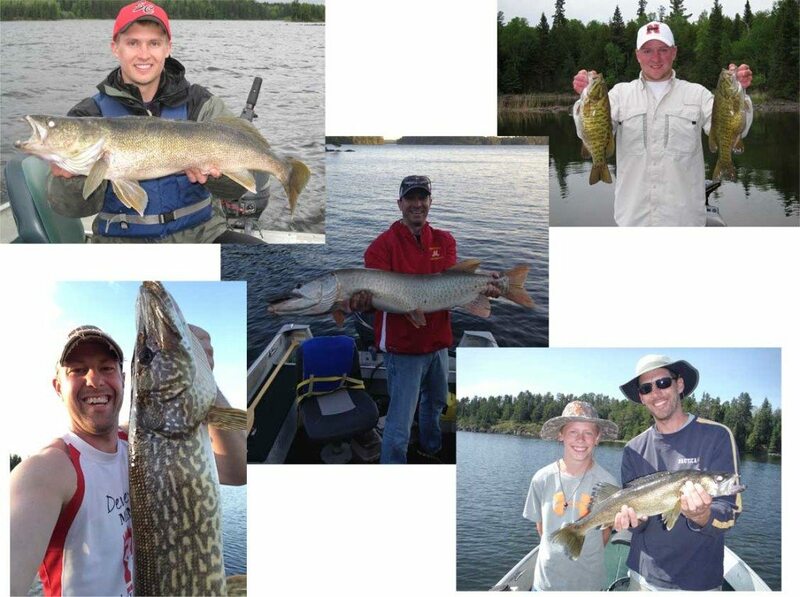 All this combined with our great food and comfortable accommodations makes us proud to be able to offer so much. 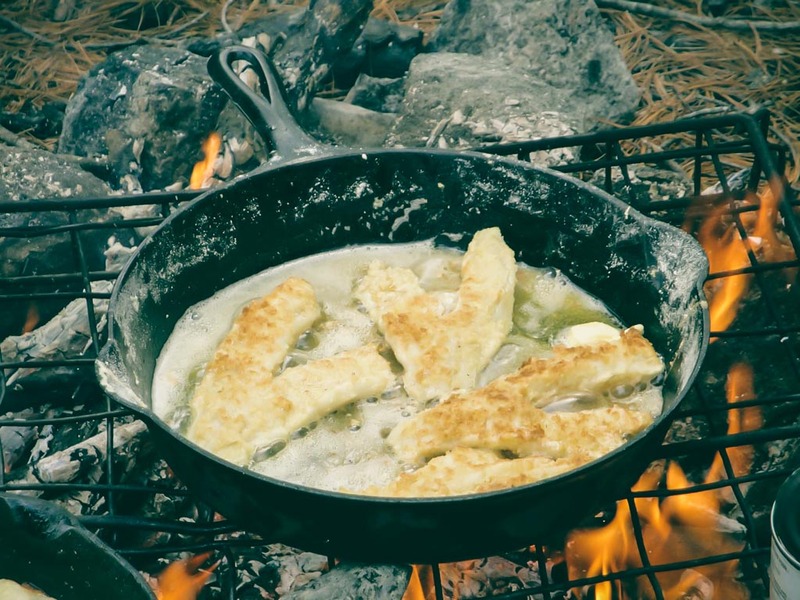 We have worked hard to maintain and improve our camp, to make it a really good place to spend your valuable vacation time. 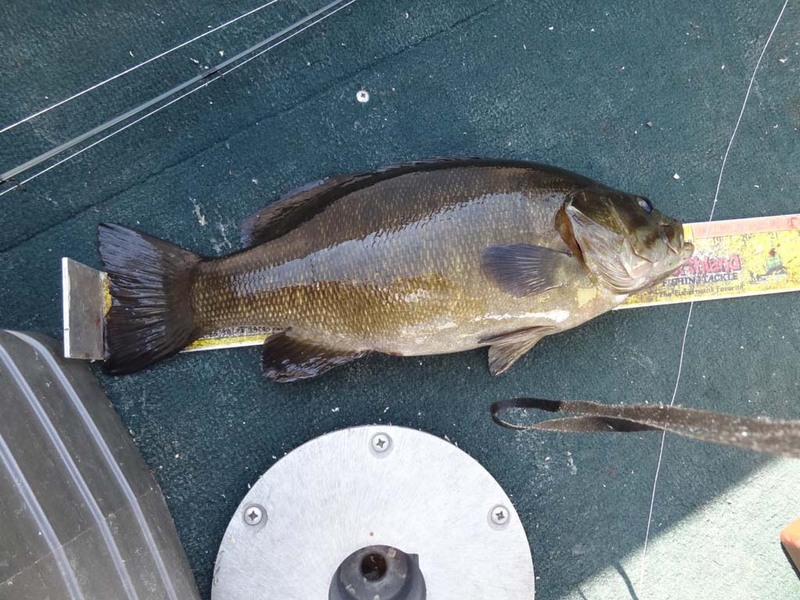 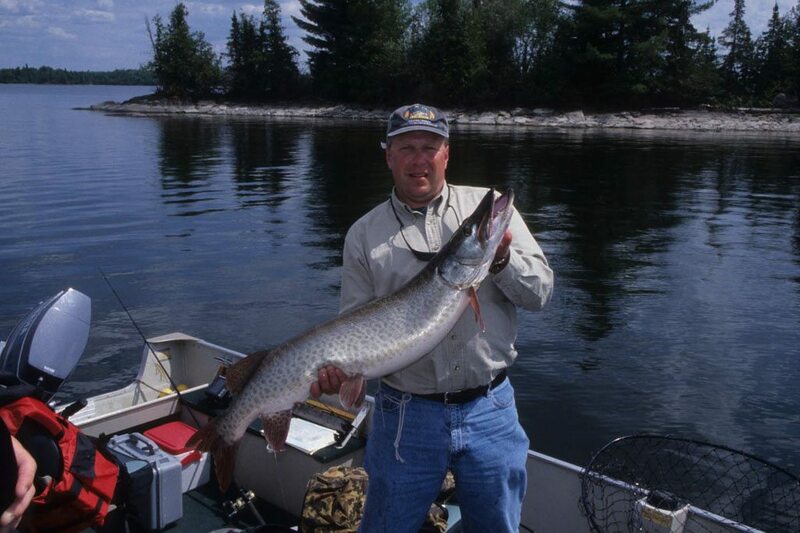 Many 30+ inch trophies each year…and the main course at any shore lunch. 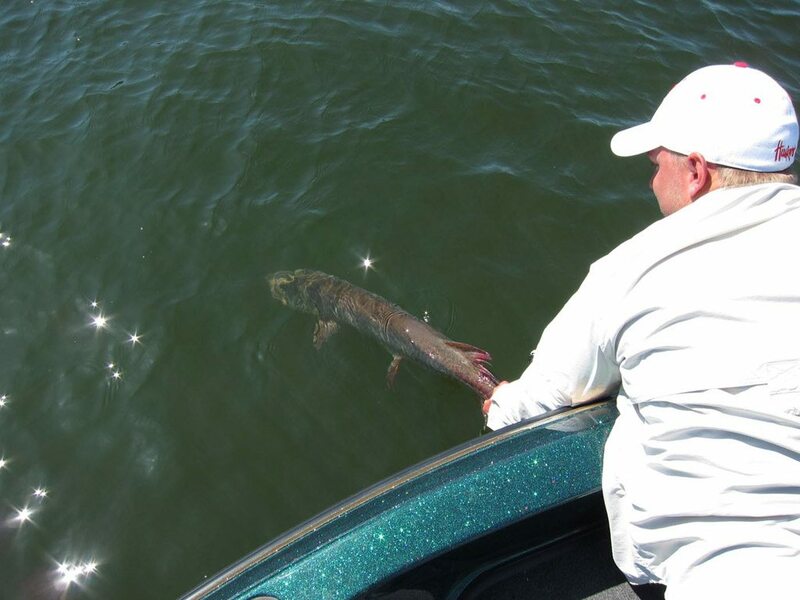 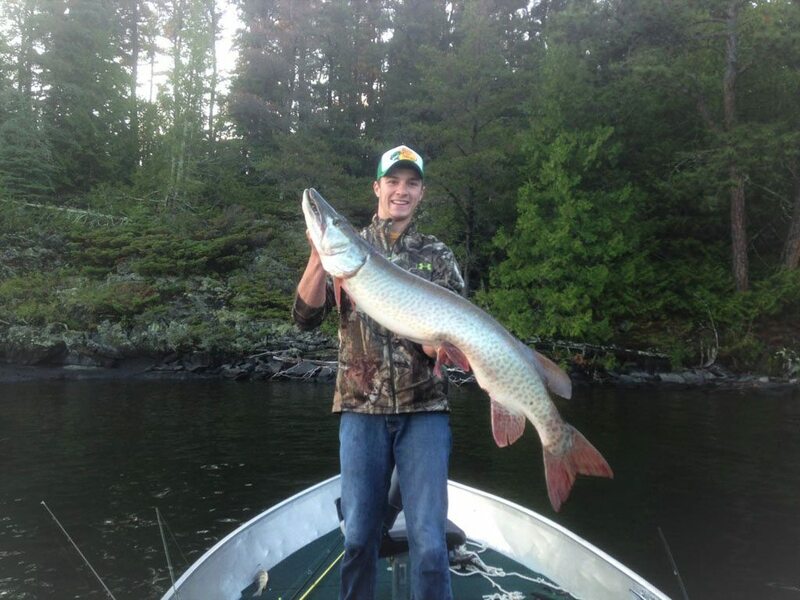 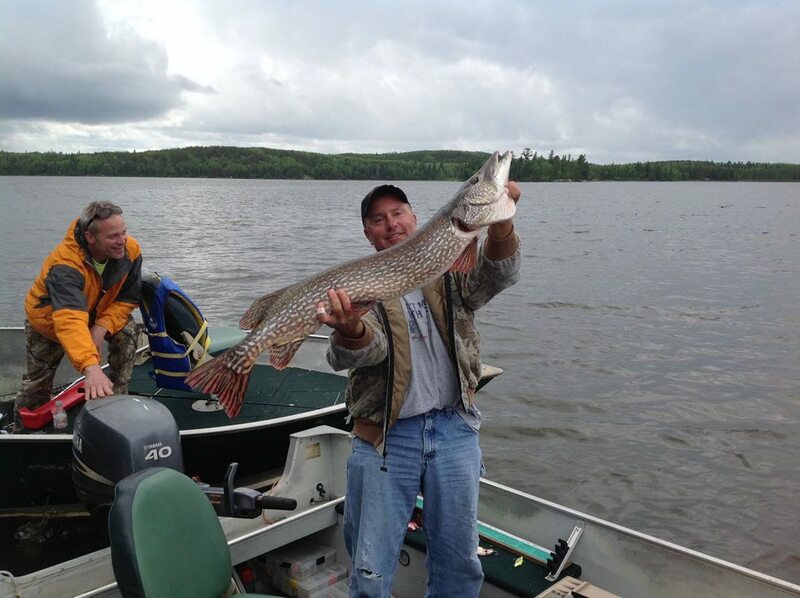 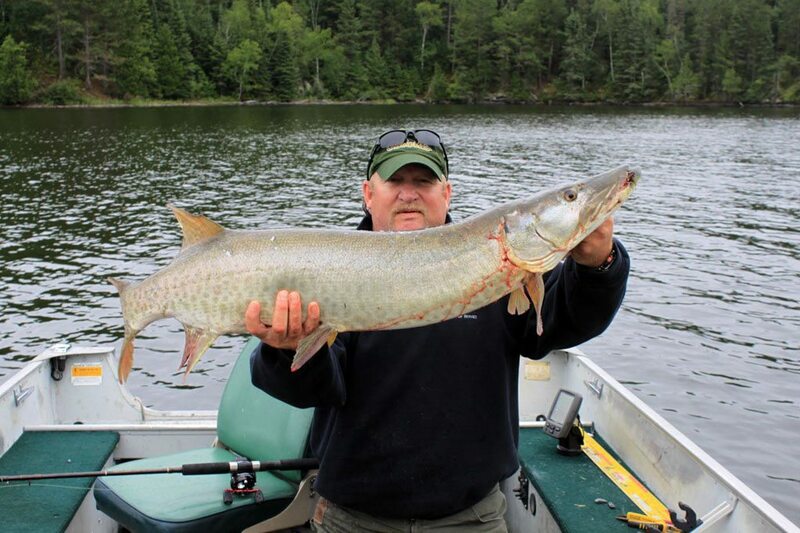 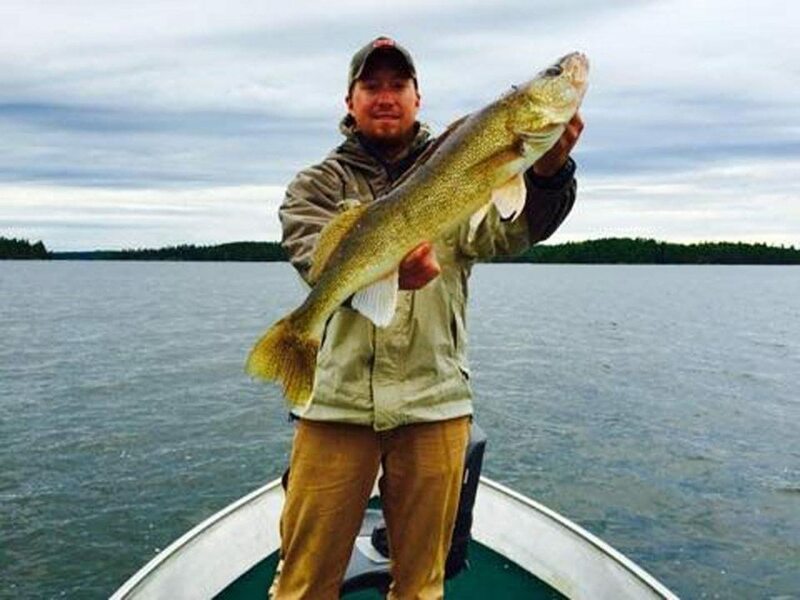 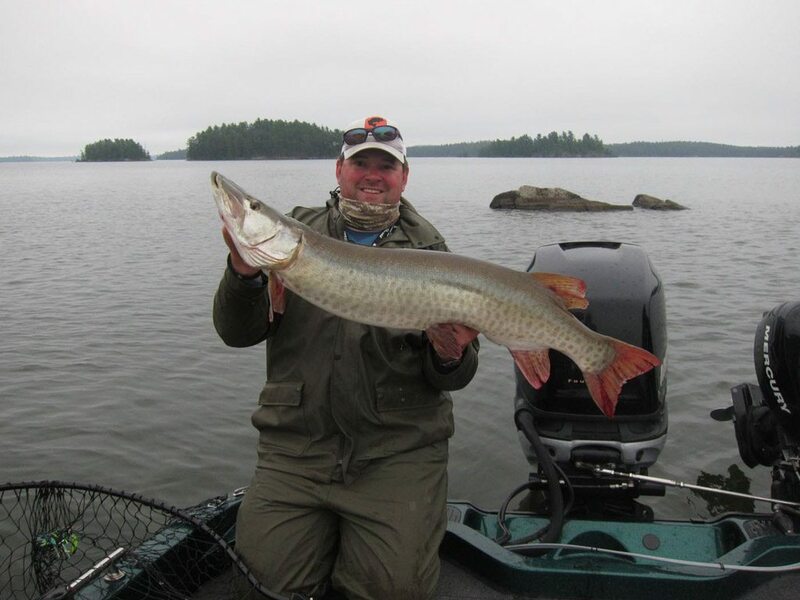 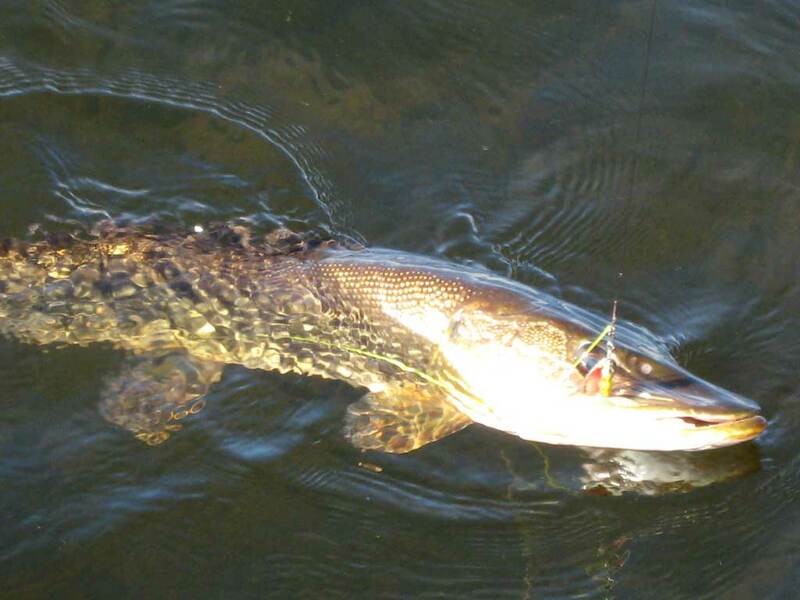 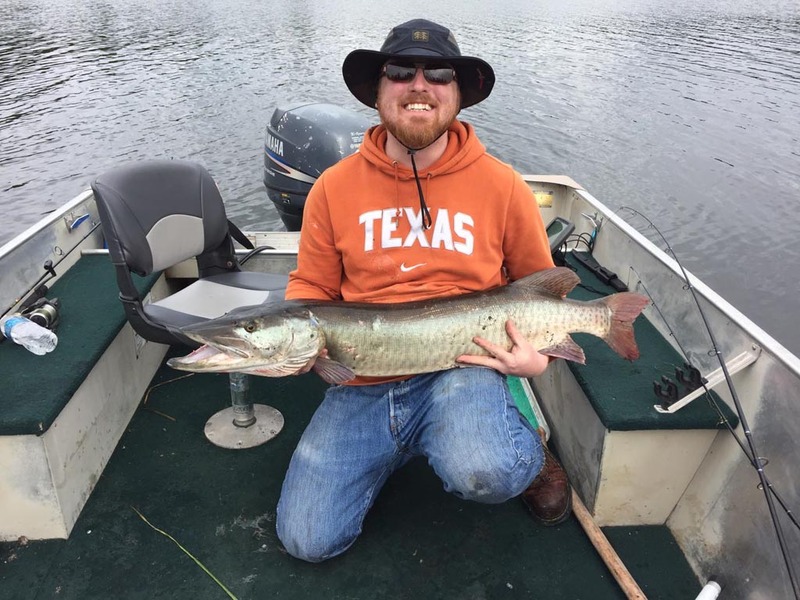 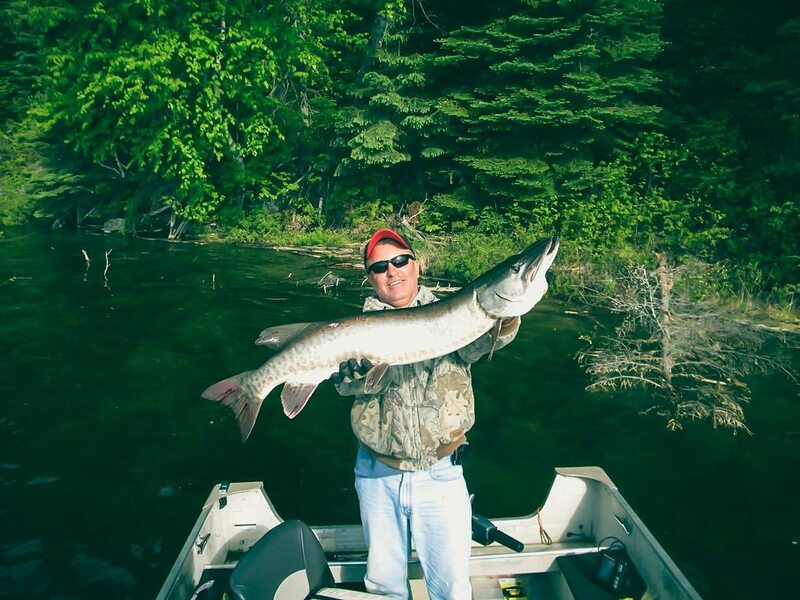 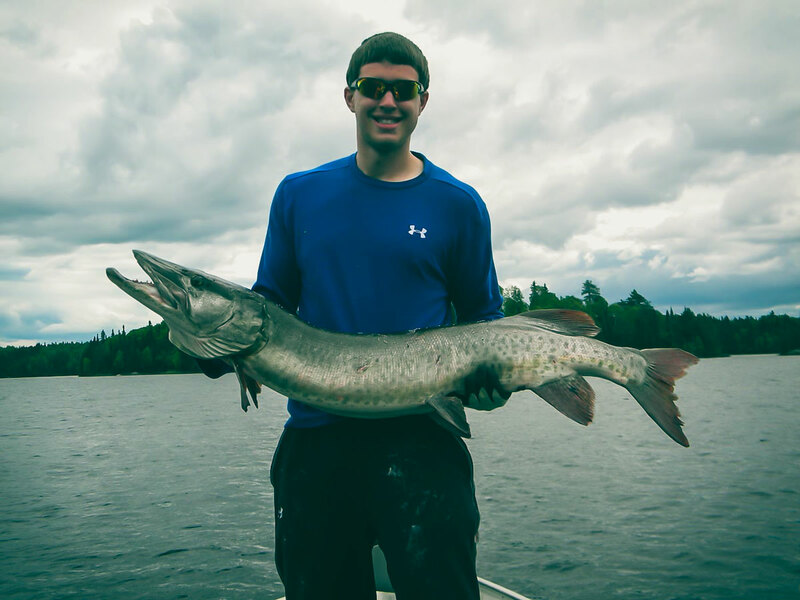 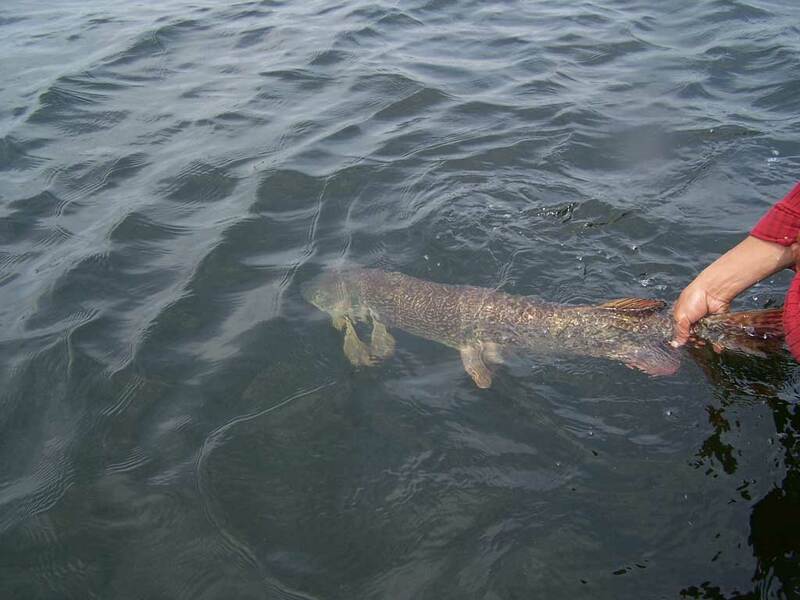 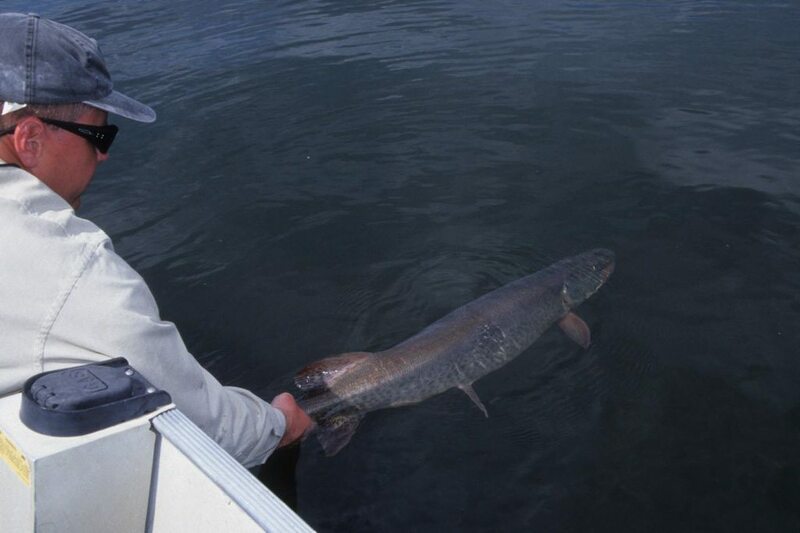 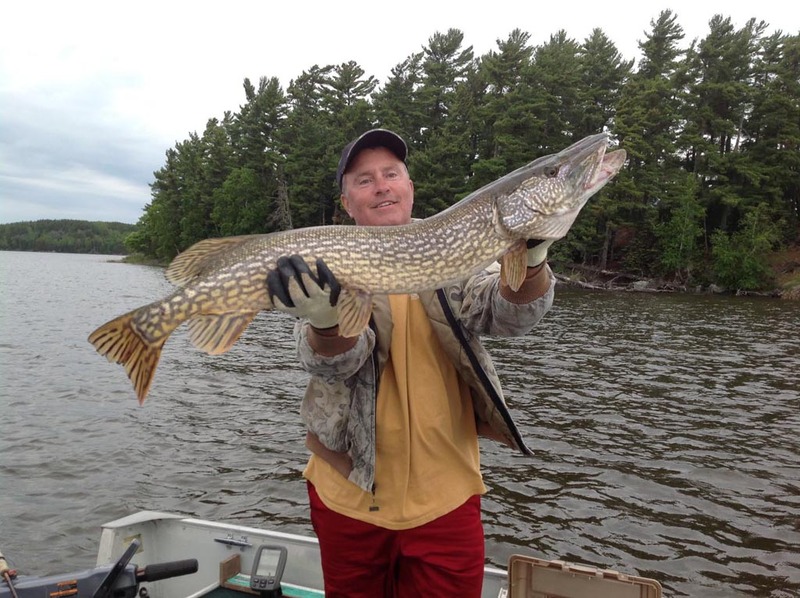 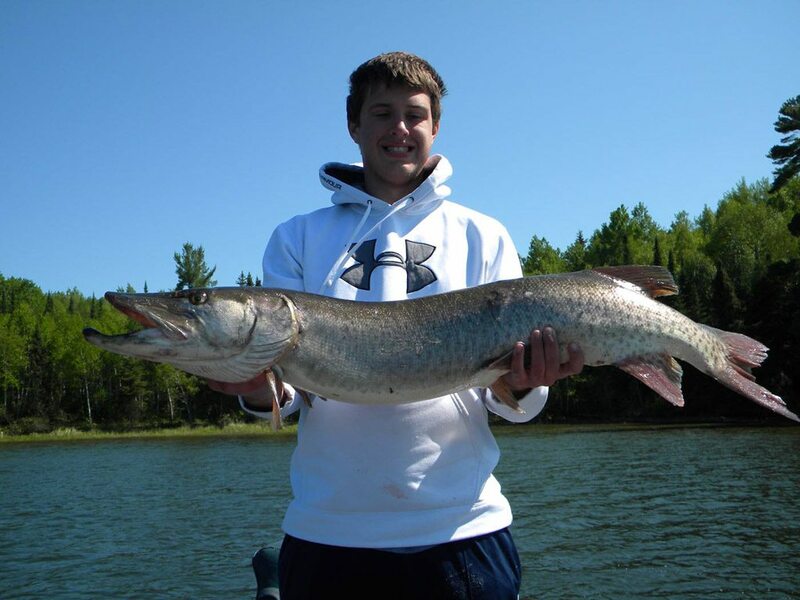 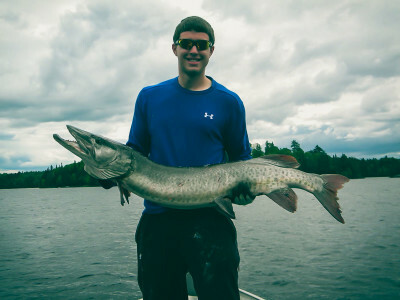 When looking for that monster, Muskie fishermen head for Eagle Lake. 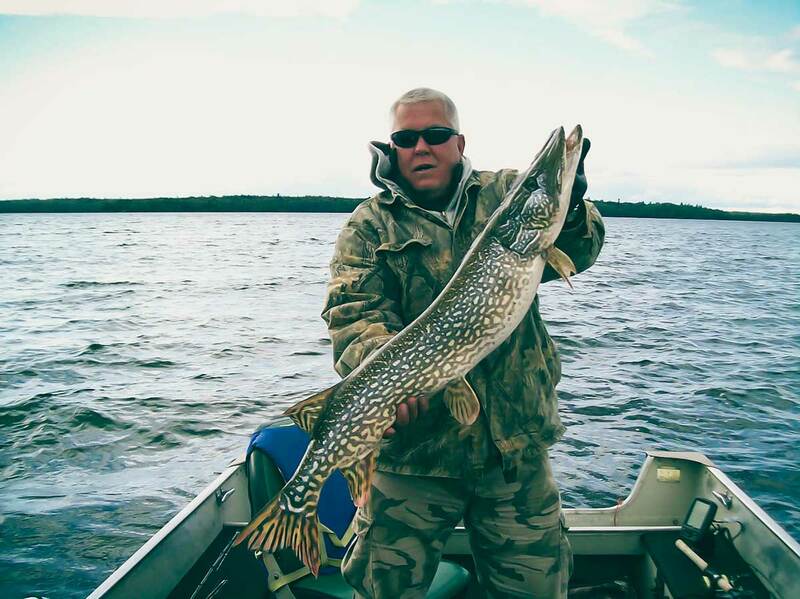 Called “The Water Wolf”…Eagle Lake will show you why. 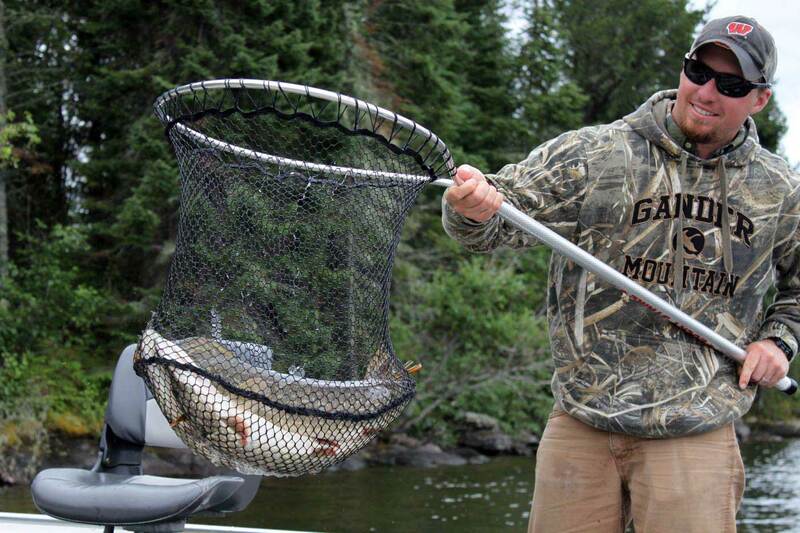 Pound for pound the most fight you’ll get on the end of a fishing line. 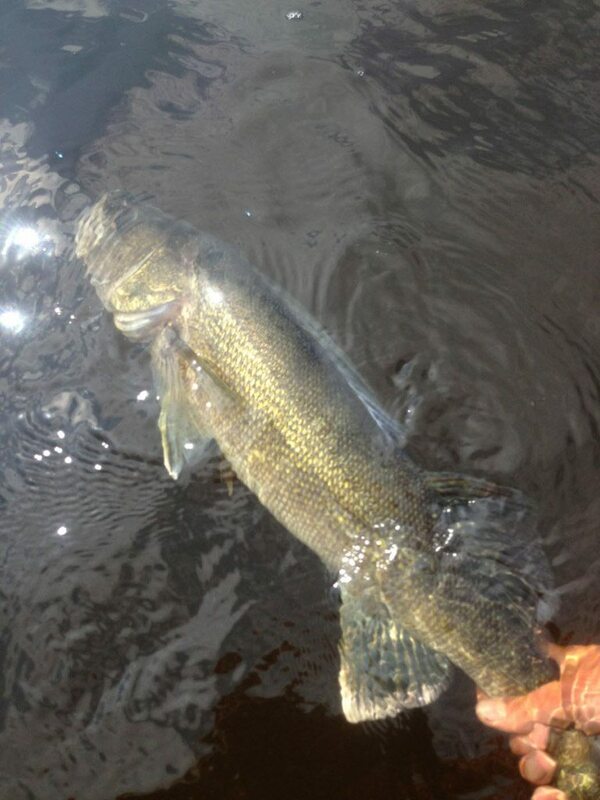 Hang on…these fish don’t like giving up. 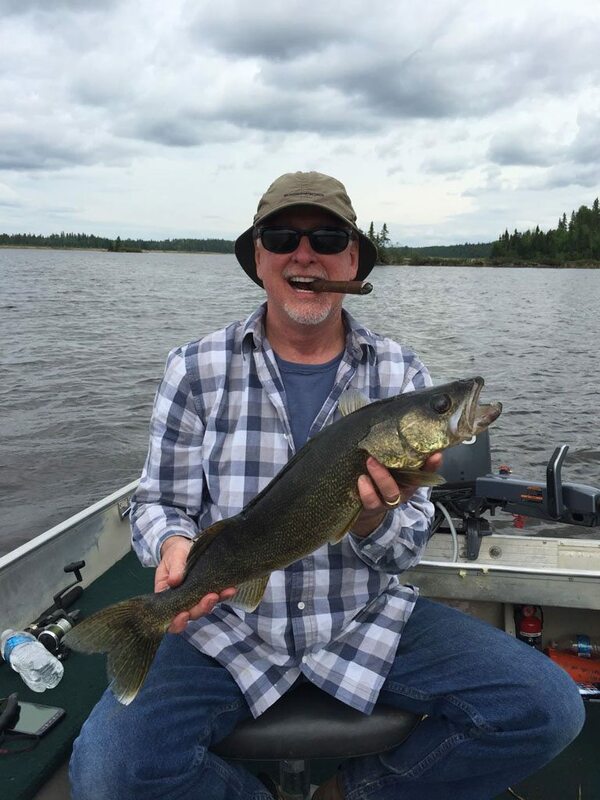 100 miles north of International Falls, Minnesota. 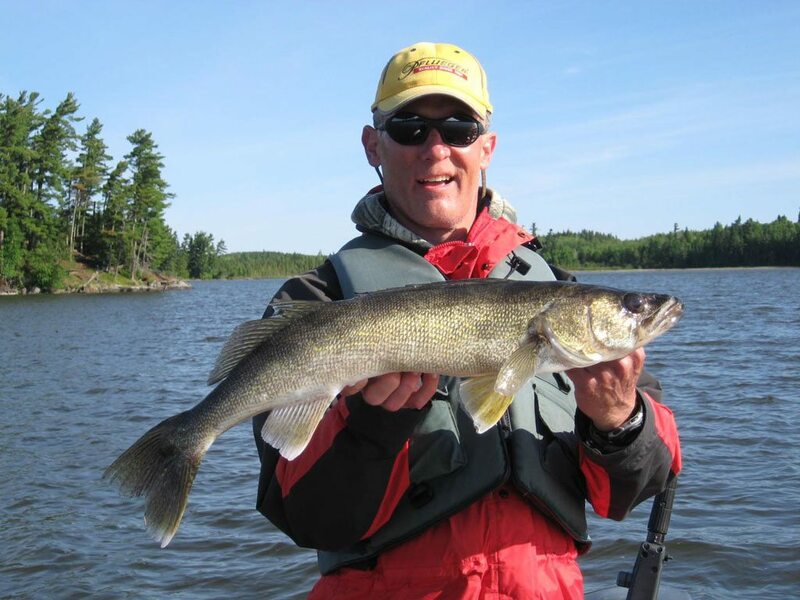 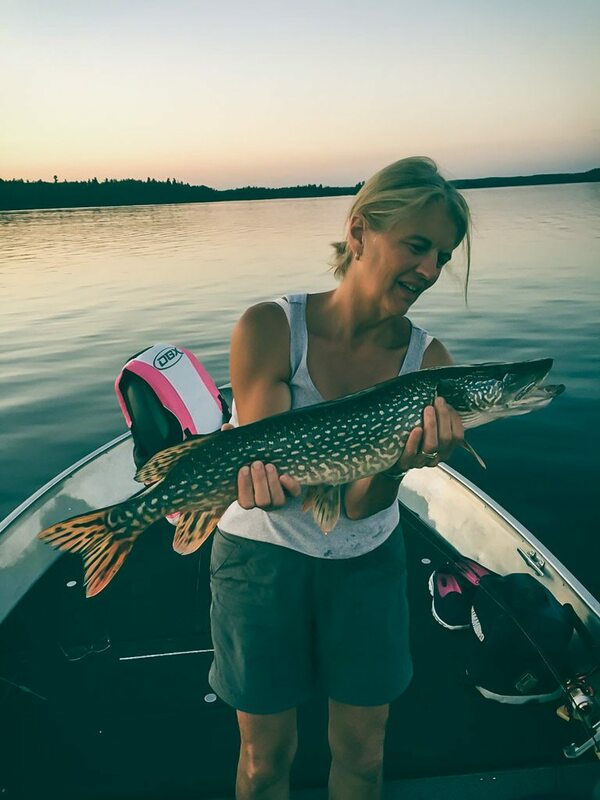 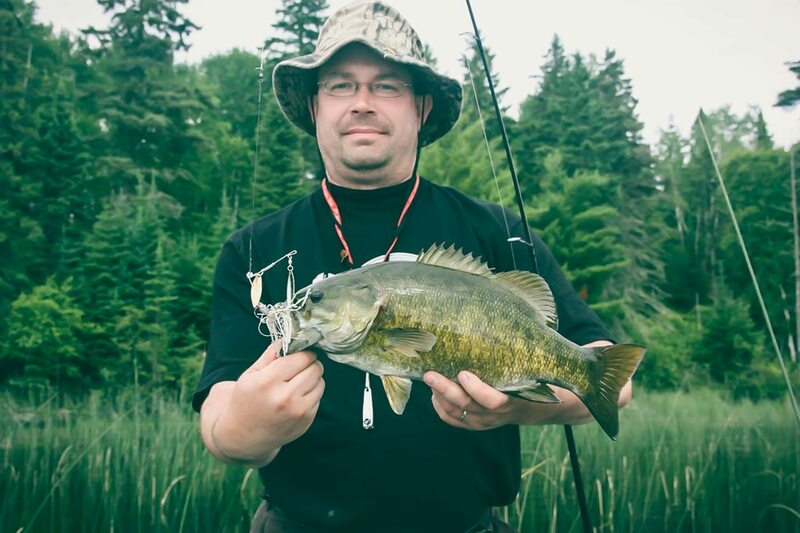 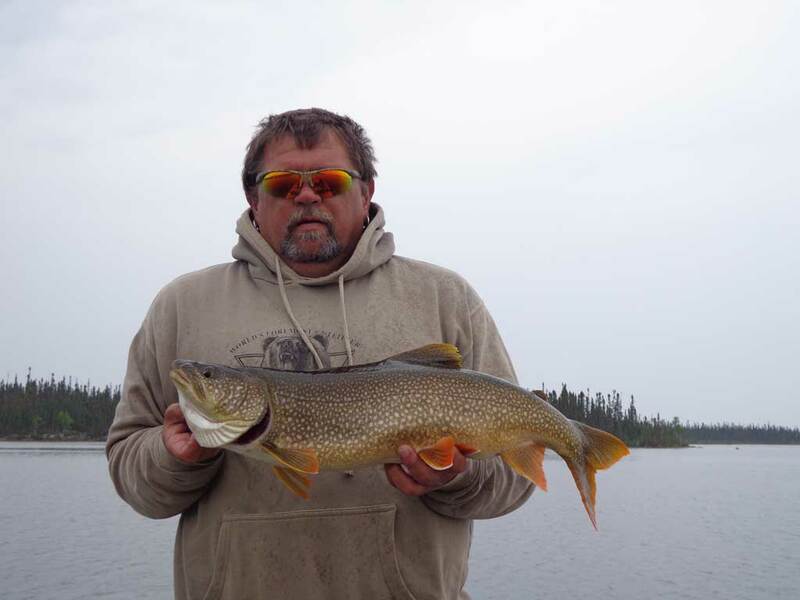 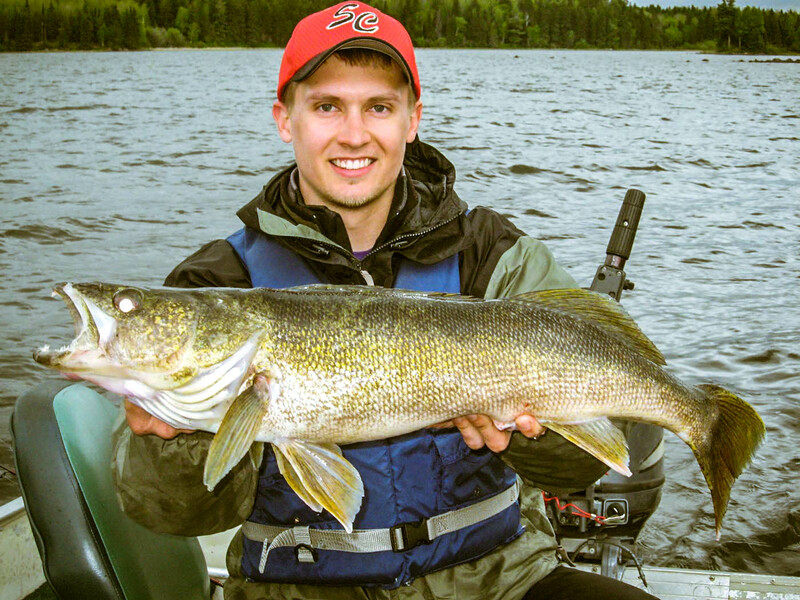 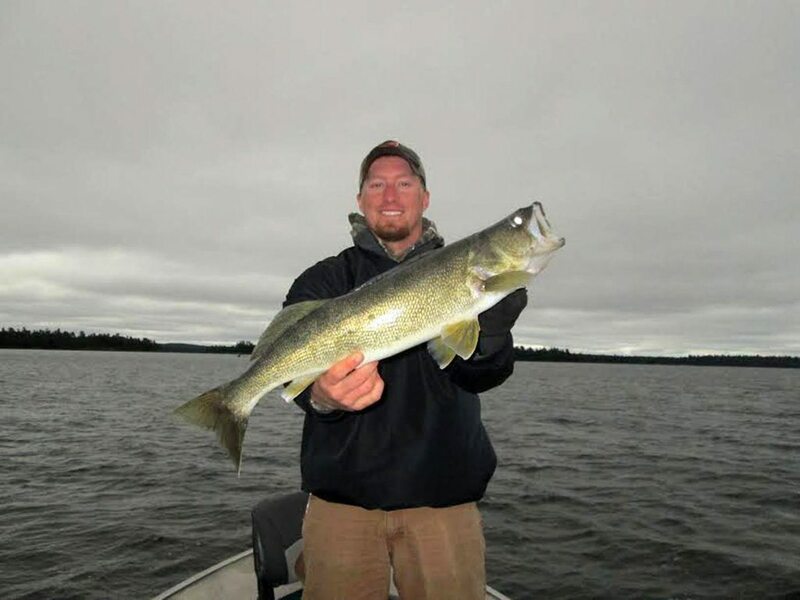 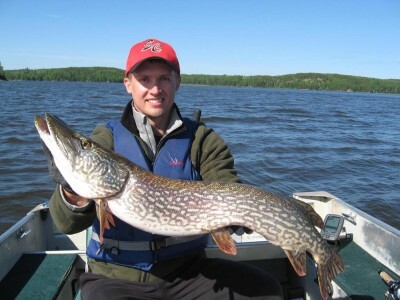 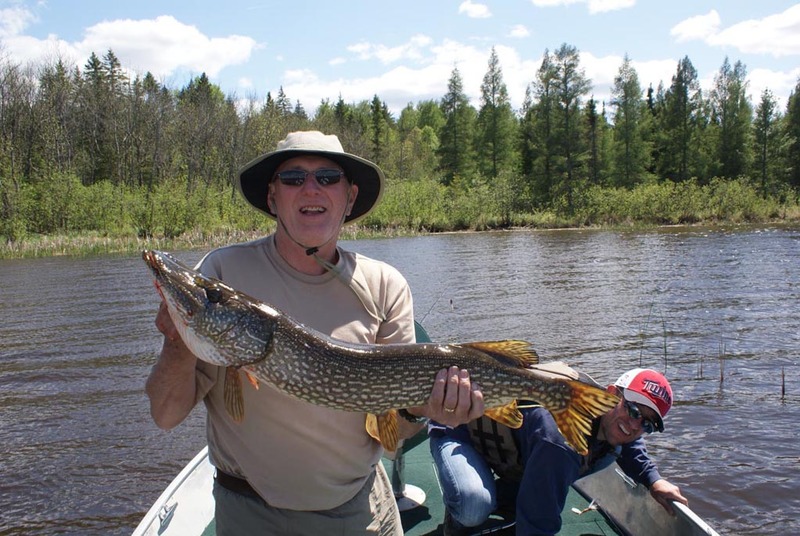 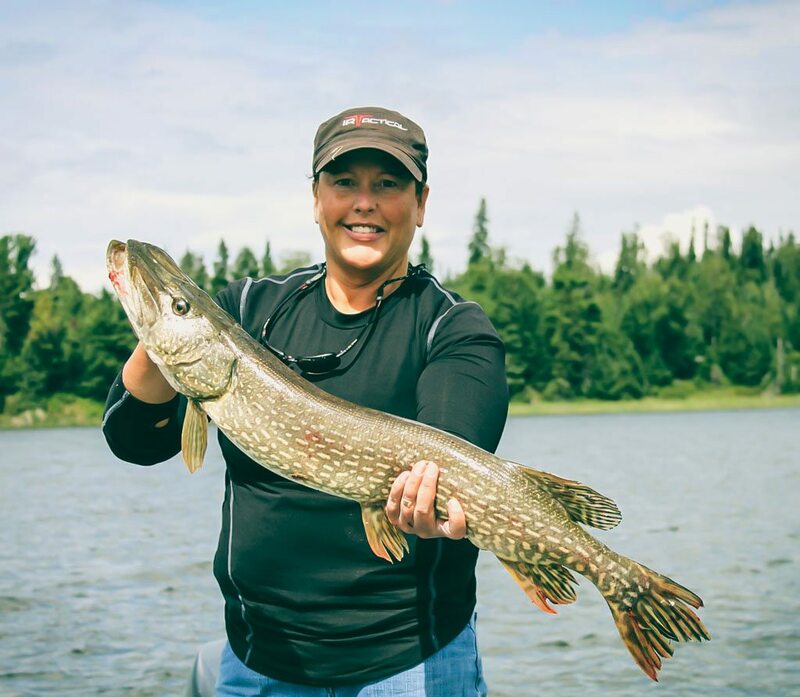 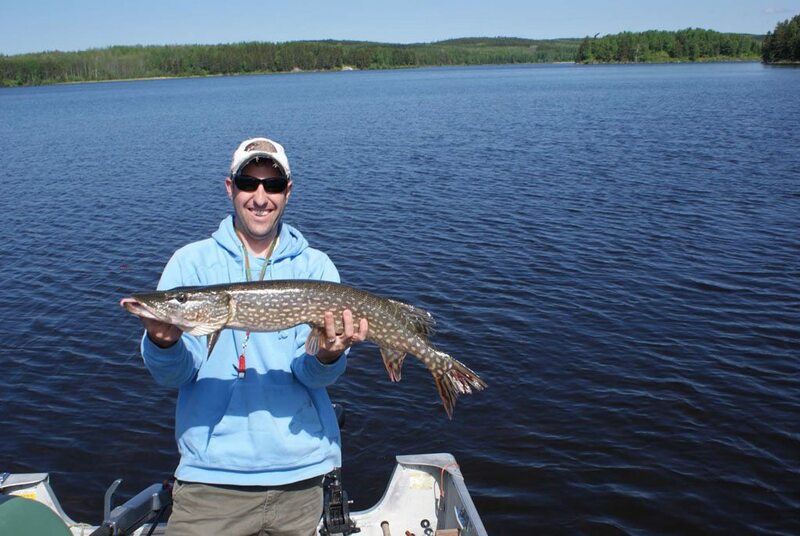 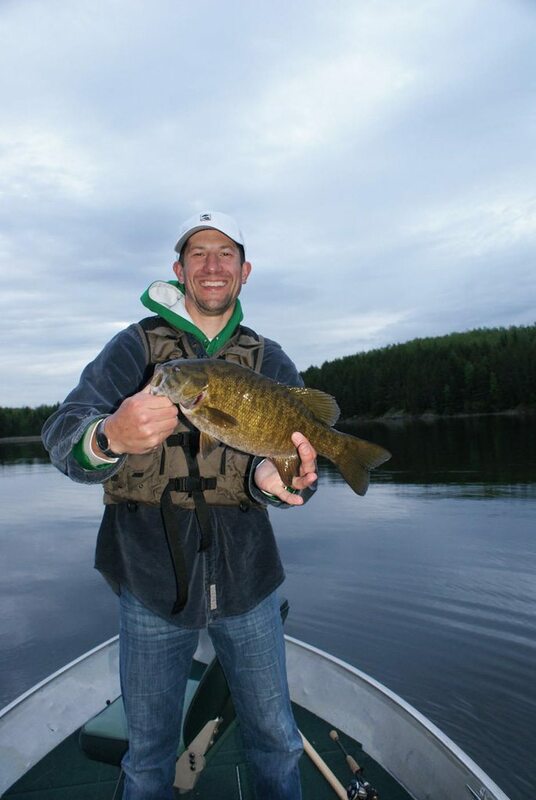 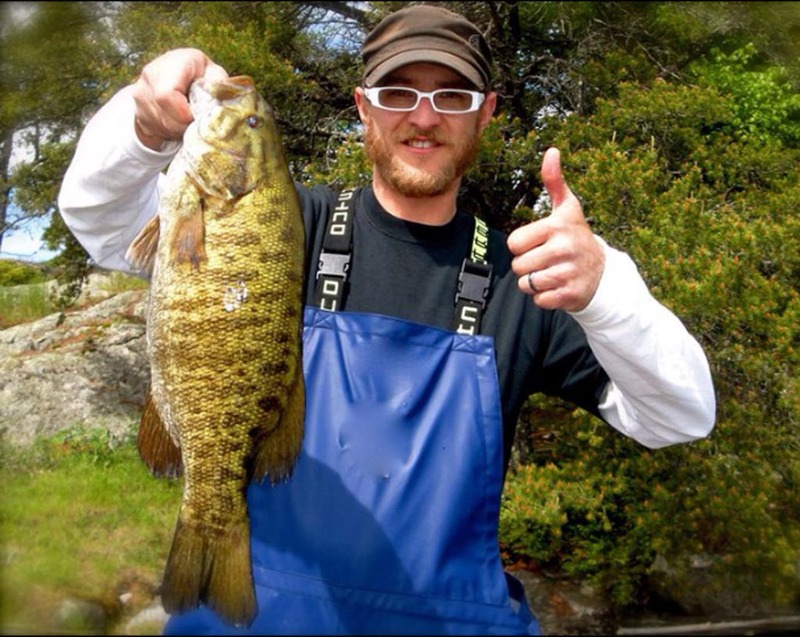 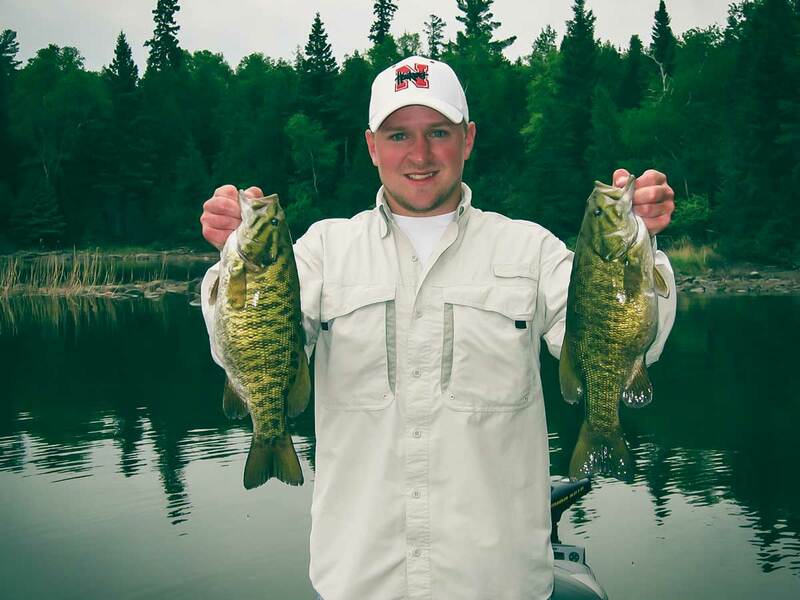 One of Canada’s most renowned fishing waters. 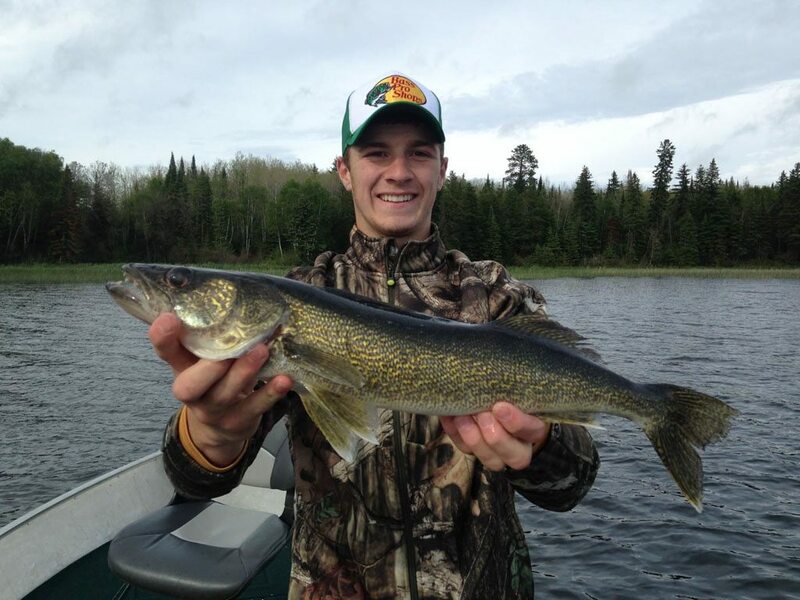 Eagle Lake’s prime fishing is our back yard. 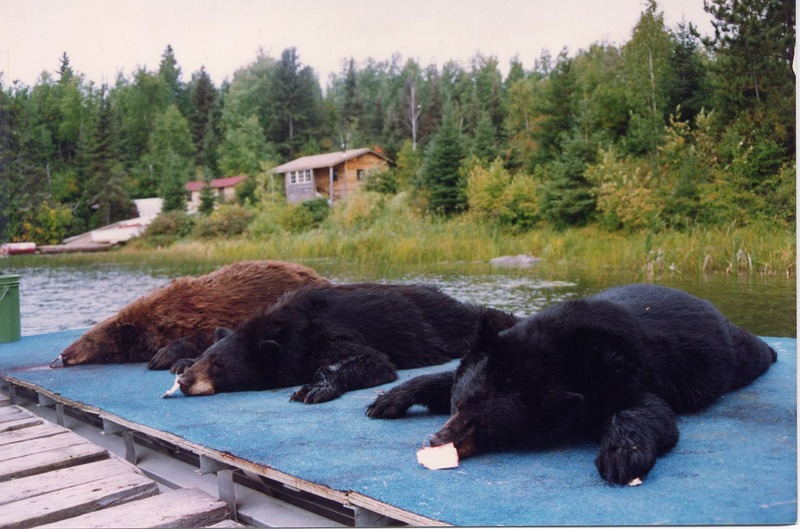 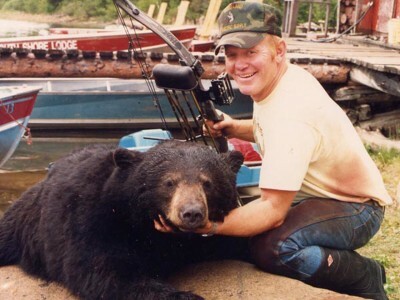 Exclusive black bear hunting area accessed only by boat. 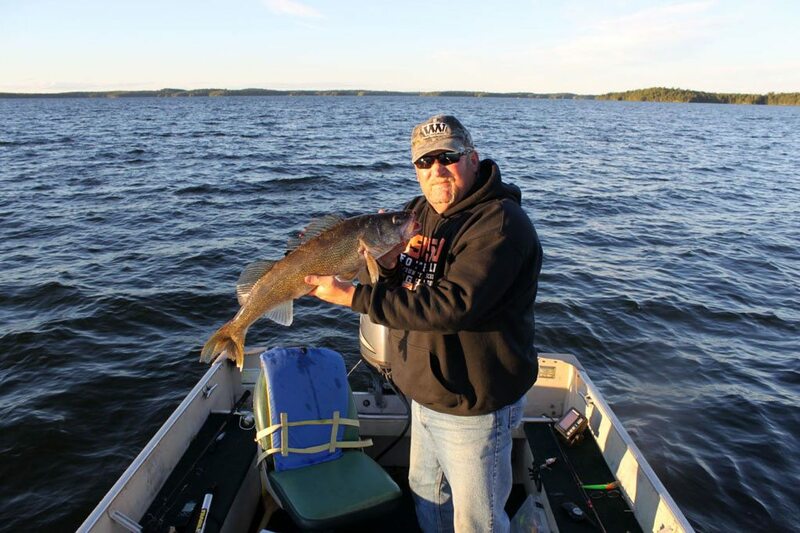 Peaceful individual cabins…right on the waters edge. 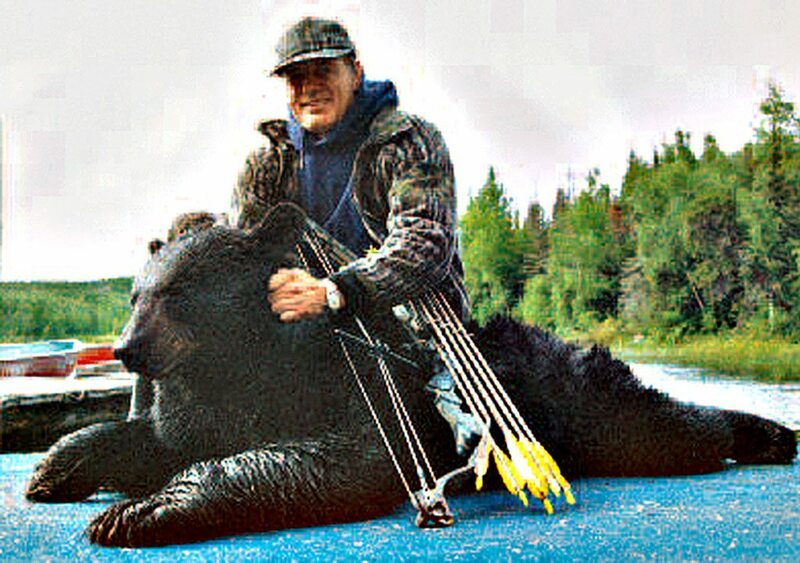 Any direction you go, natures vast wilderness abounds. Get out fishing any day no matter what the weather. 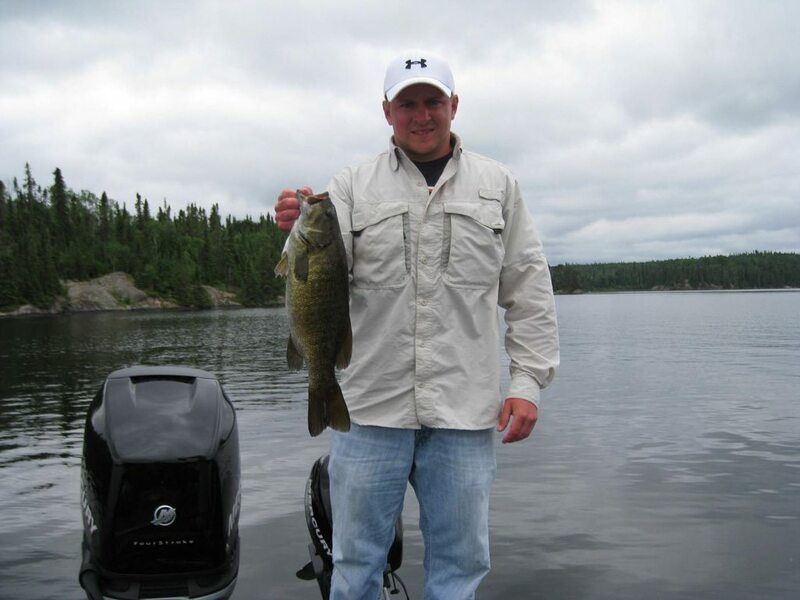 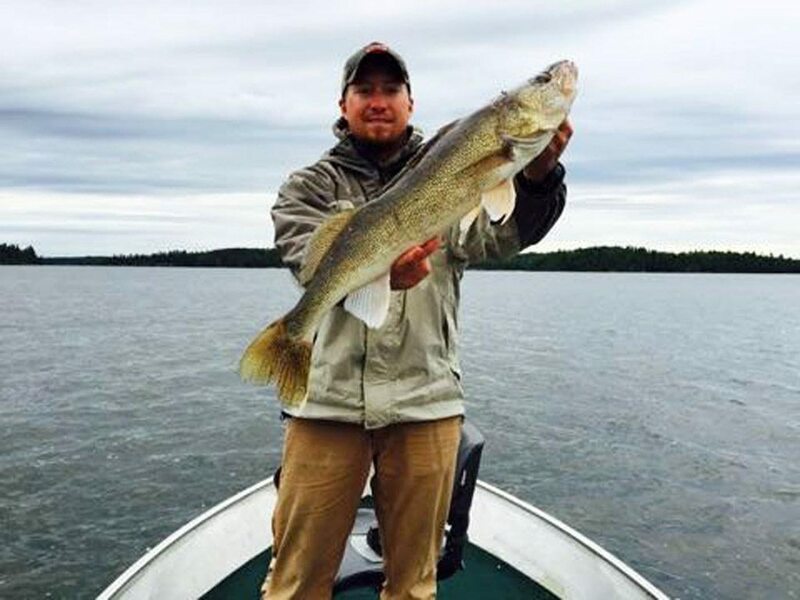 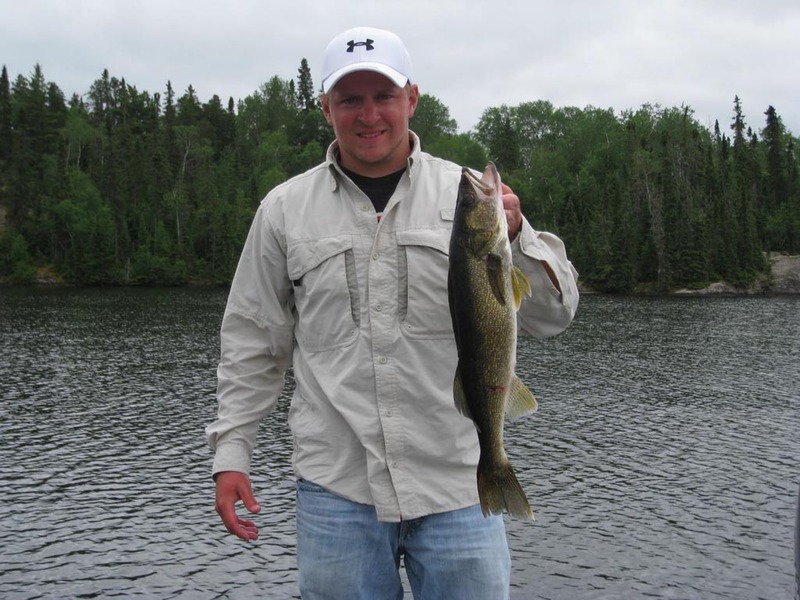 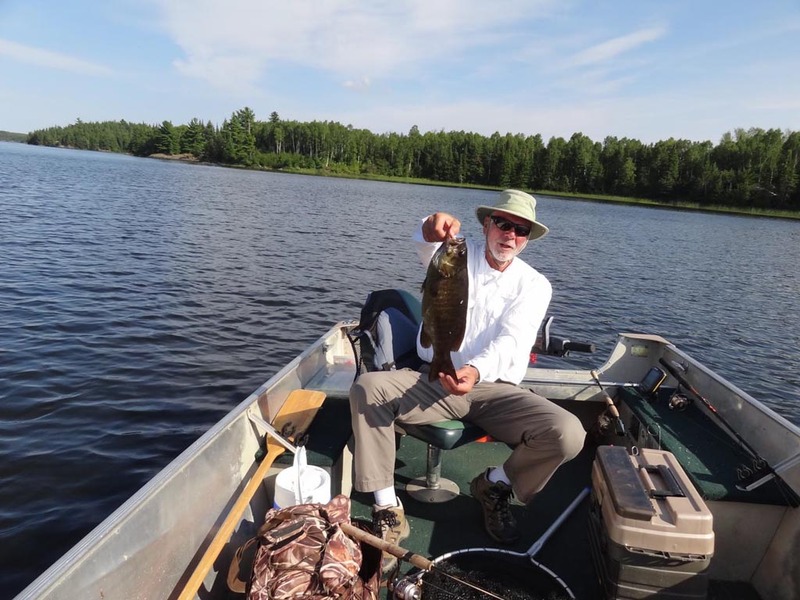 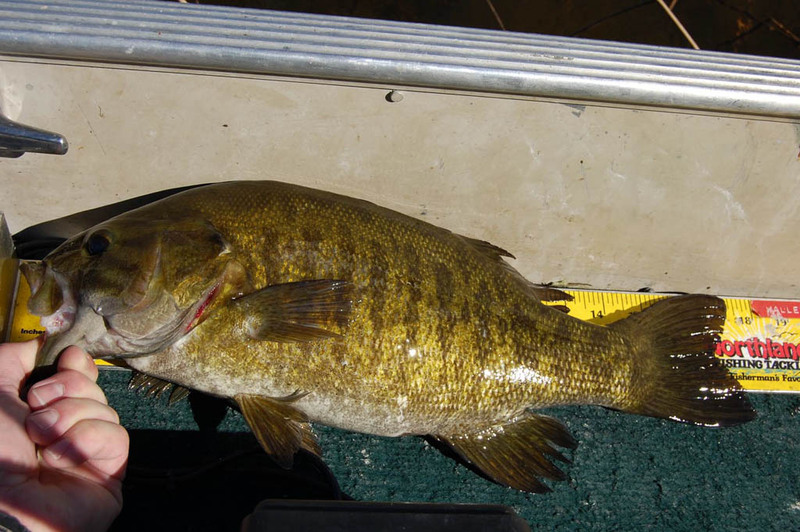 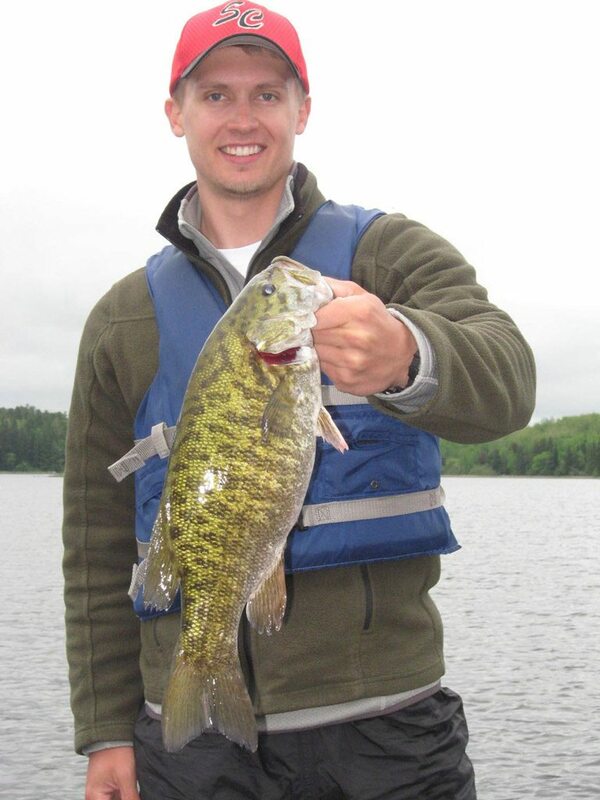 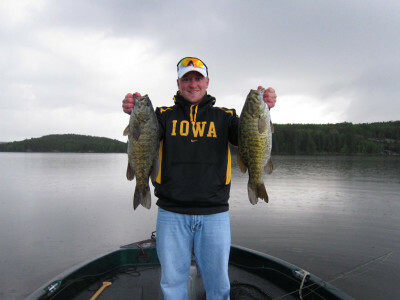 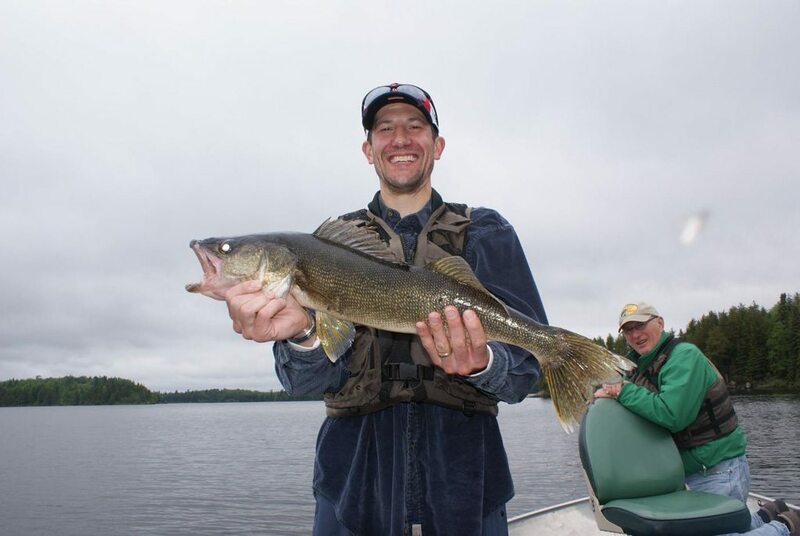 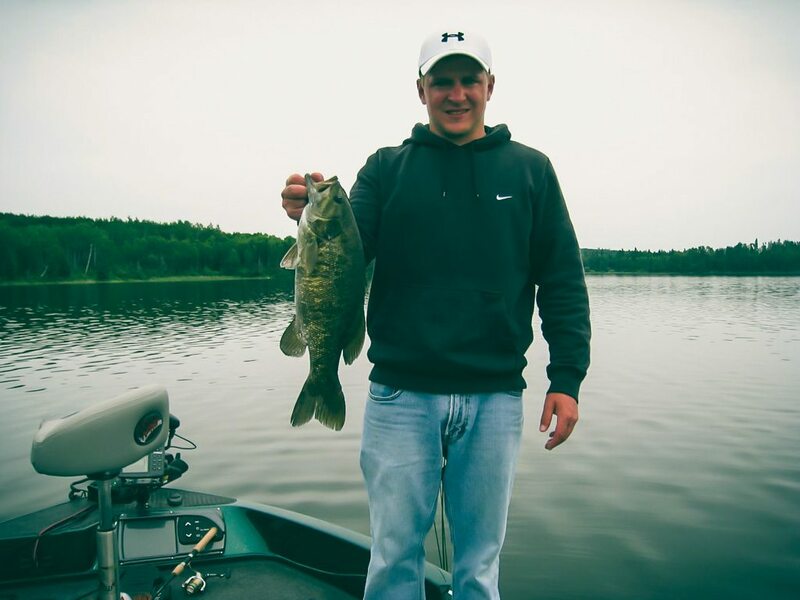 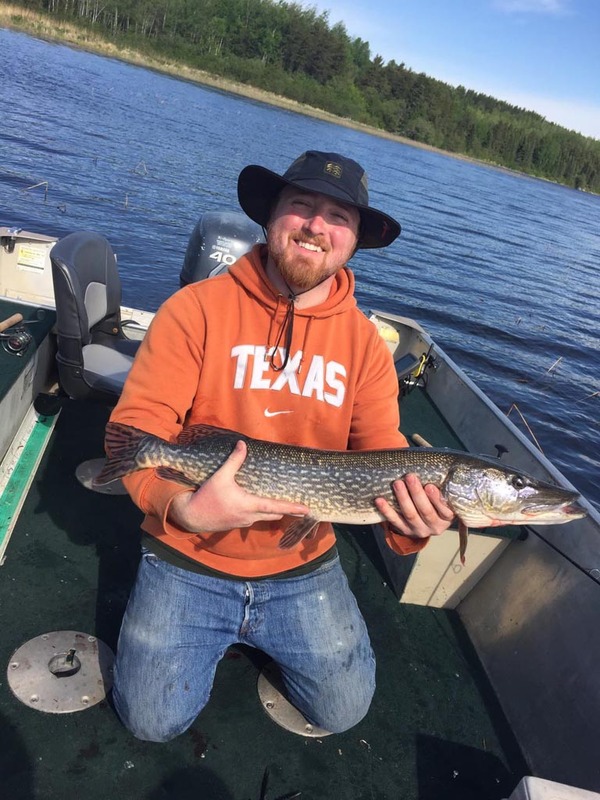 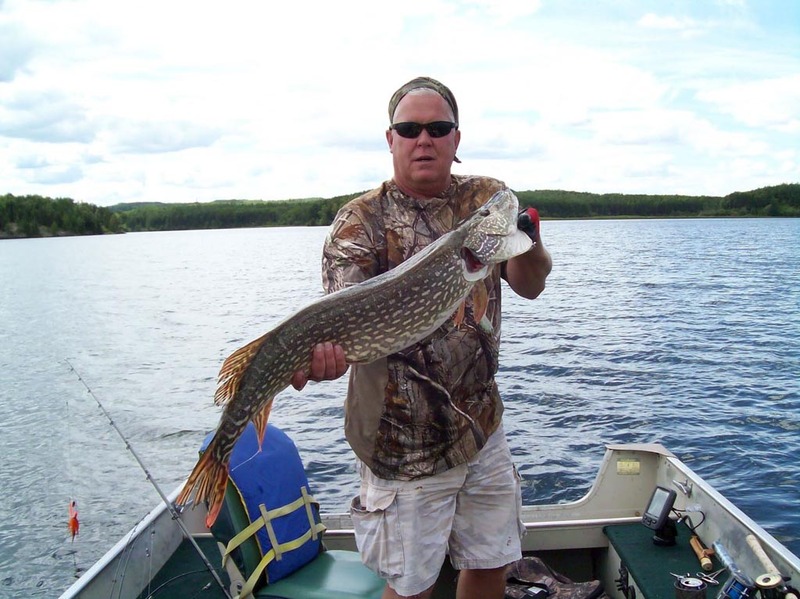 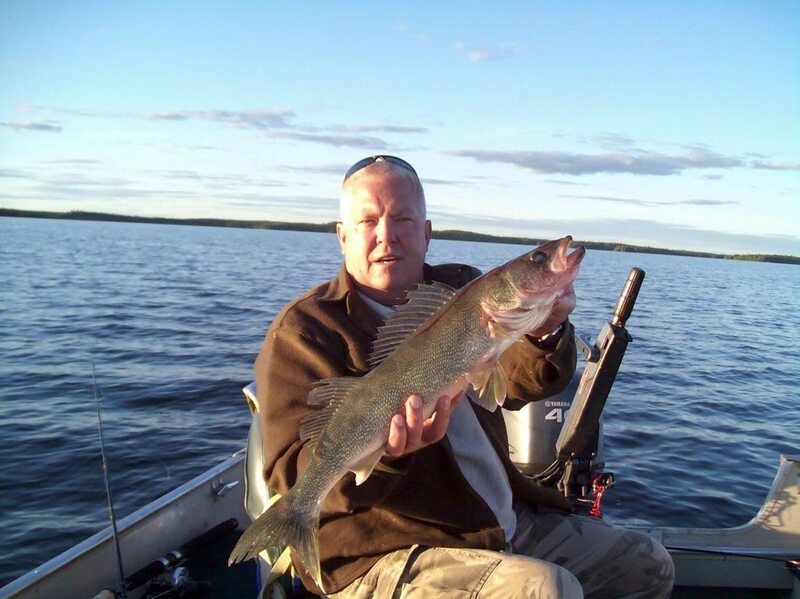 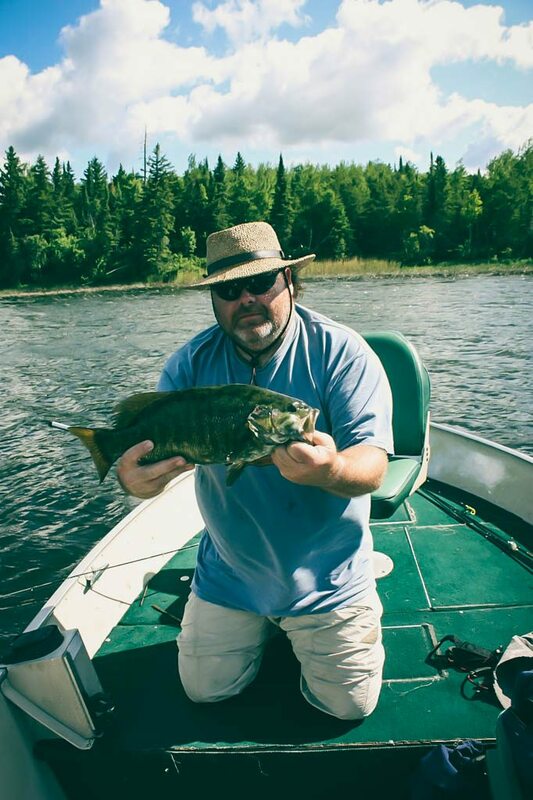 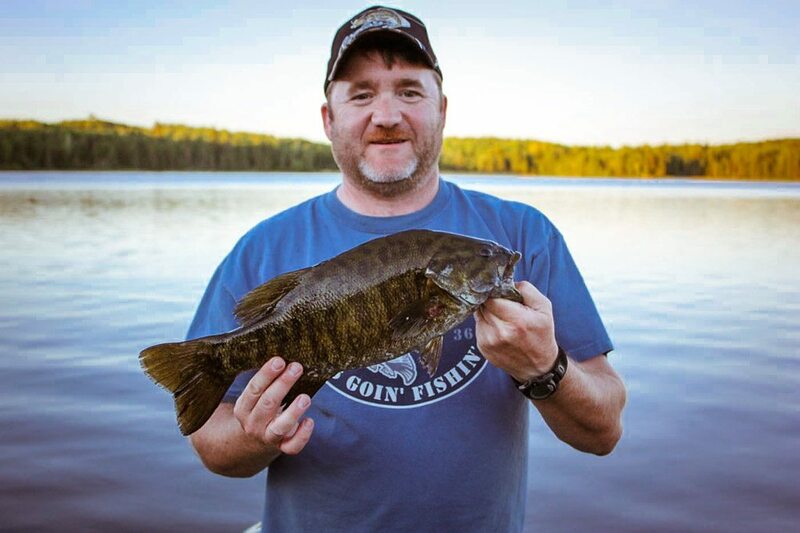 Our location on Eagle Lake offers closeness to great fishing and the peace and quiet only nature can provide. 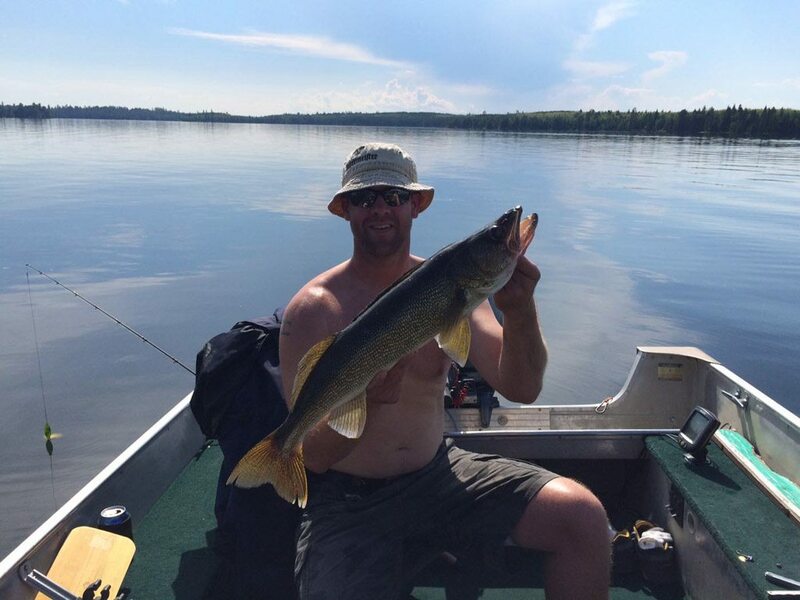 Want to thank you for the wonderful time that myself and fishing partner had at your camp. 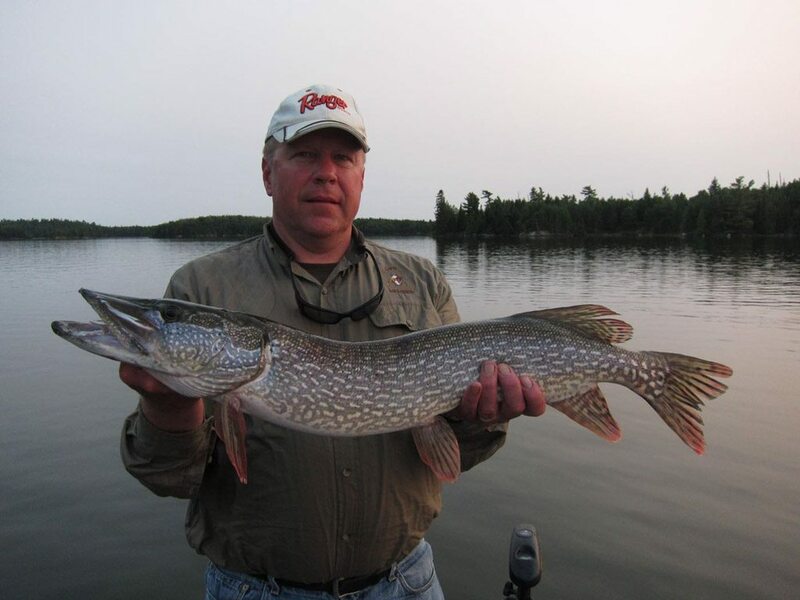 Jerry Drusell who had never been there before said he will never forget your place. 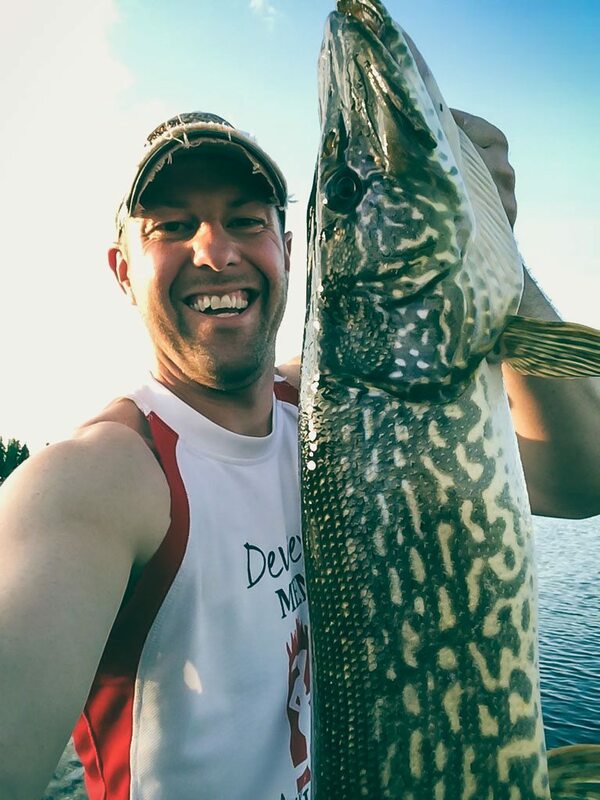 I have fished in many tournaments, but I got to say this was the best I have ever done. 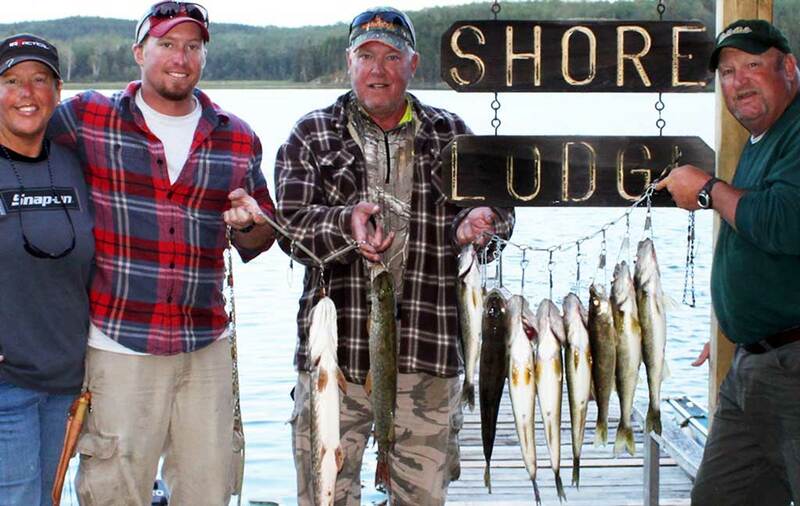 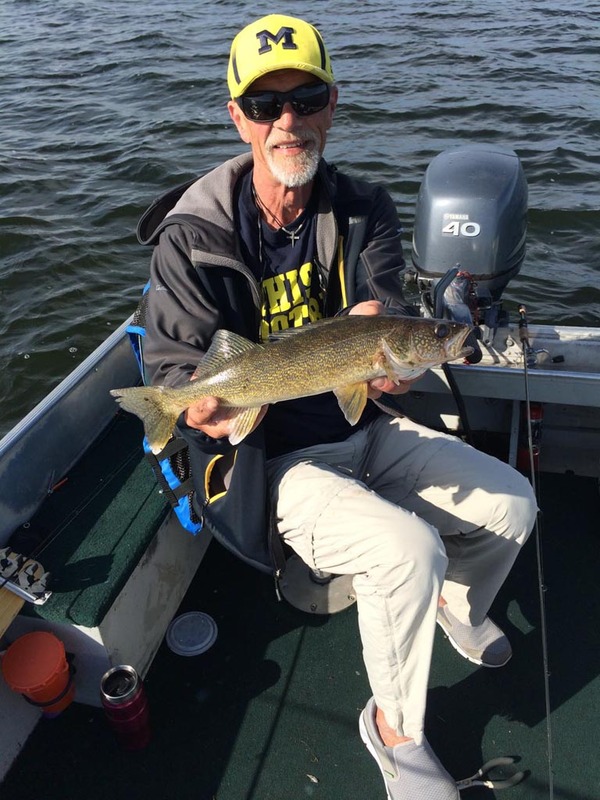 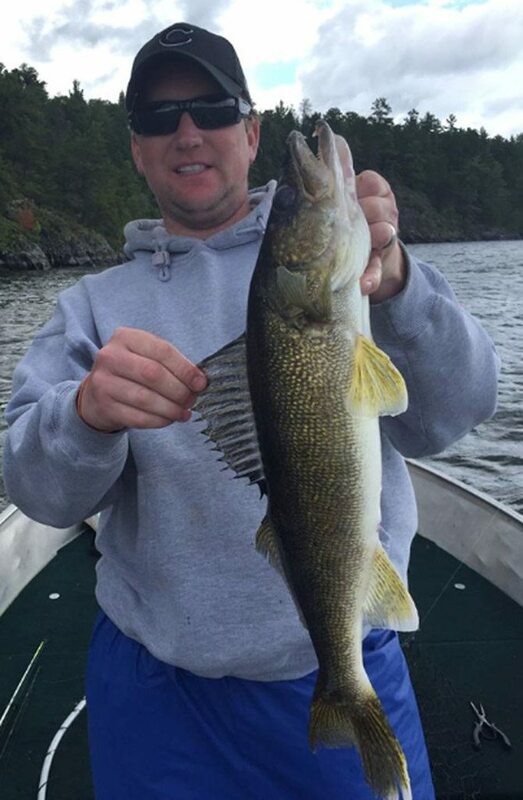 The meals were great, help was great, and the walleye fishing was out of this world. Jerry wants to say what a place & impressed with all help you gave him.